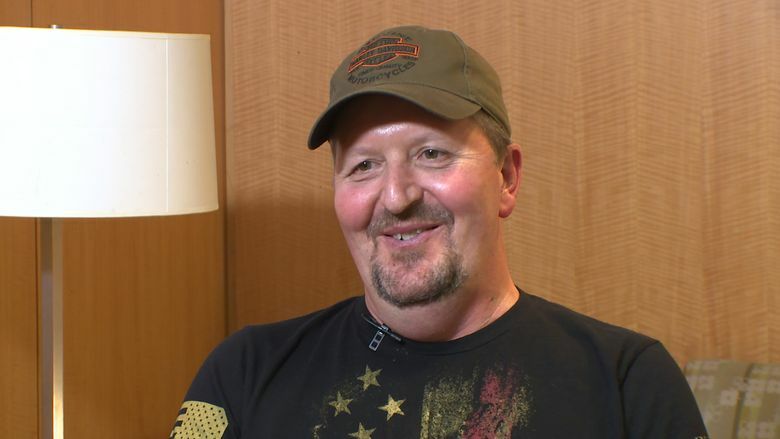 An Anacortes man is the first organ-transplant recipient in the Pacific Northwest to willingly get a heart transplant from a donor with hepatitis C and then be cured. This development could mean more options for people awaiting new organs. Kerry Hayes needed a heart. So he took a risk. 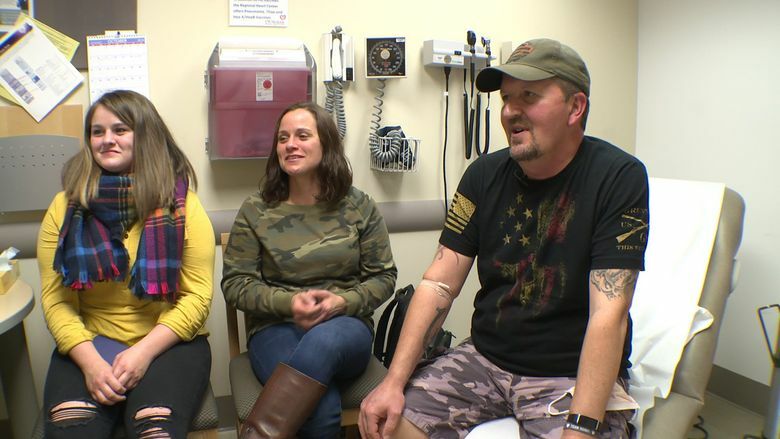 Last month, the 49-year-old Anacortes man became the first person in the Pacific Northwest to purposely receive a heart transplant from a donor infected with hepatitis C and then be cured of the disease. Hayes was born with a heart murmur, which was caused by an issue with his aortic valve. As he aged, the valve continued to weaken until he required open-heart surgery at age 28. Hayes has gone through four more surgeries in the past four years and had an artificial heart for the past year and a half. After Hayes’ doctors explained that hepatitis C — a liver disease once thought to be incurable — now has a 99 percent cure rate, he didn’t hesitate to opt into a transplant from a donor who had the disease. Two weeks after agreeing to the procedure, Hayes got the call he had been waiting almost two years for. He received the heart in a surgery on July 3, 2018, at UW Medical Center. He then contracted hepatitis C, took an eight-week course of antiviral medication and, on Dec. 20, he was found to be cleared of the infection. Hepatitis C has been getting a lot of attention from public-health officials and politicians over the past year. In September, Gov. Jay Inslee signed a directive that has state and local governments working to rid Washington of the disease by 2030. State officials estimate that about 65,000 people in Washington have hepatitis C.
Being able to treat patients who receive organ transplants from donors with hepatitis C means more options will exist for people who are struggling to find a match for an organ transplant. Jason Smith, who directs the hepatitis C protocol and is UW Medicine’s associate director of cardiac transplant and mechanical circulatory support, said he expects there could be a 10-12 percent increase in transplants at UW Medical Center as a result of this development. All of the nearly 40 people on the heart-transplant waiting list at UW Medical Center have been told about this new option and everything the procedure entails. Three more people have received hearts from hepatitis C-positive donors since Hayes’ transplant. The development and accessibility of antiviral treatment for hepatitis C have made the procedure feasible. The cost for the drugs has also decreased significantly in the past couple of years since new drugs were released in 2013 and 2014 that can cure most cases of hepatitis C. Smith said 95 percent of people taking the new drugs are cured with one treatment. “That kind of effectiveness opened the door to trying to utilize these organs,” Smith said. Organ donors’ loved ones are also affected by this new procedure, Smith said. Of all organs, a heart being donated seems to give donors’ families the most comfort, he said. “Giving that opportunity back to donor families is an element of the good it does for our community,” he said. For Hayes, taking on a heart from a donor with hepatitis C was a way back to reclaiming the active life — filled with hiking, fishing, hunting, and motorcycle riding — that he enjoyed before getting a complete artificial heart replacement.